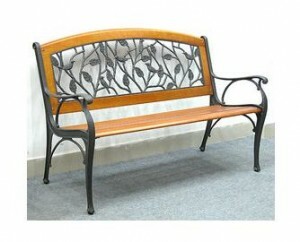 Save 75% Off Garden Treasures Bench at Lowes.com & Other Clearance Items | A Savings WOW! With the end of the Summer season upon us, Lowe’s has some great things on clearance right now! For example, you can save 75% off this beautiful Garden Treasures 4′ Birds & Leaves Bench, which is on clearance for only $32.00 (regularly $128.00). In addition to this bench, they also have grills, grill covers, and other patio furniture. You can check if they have it in-stock at your store to save on your delivery charges. Check out the clearance items at Lowes.com today!